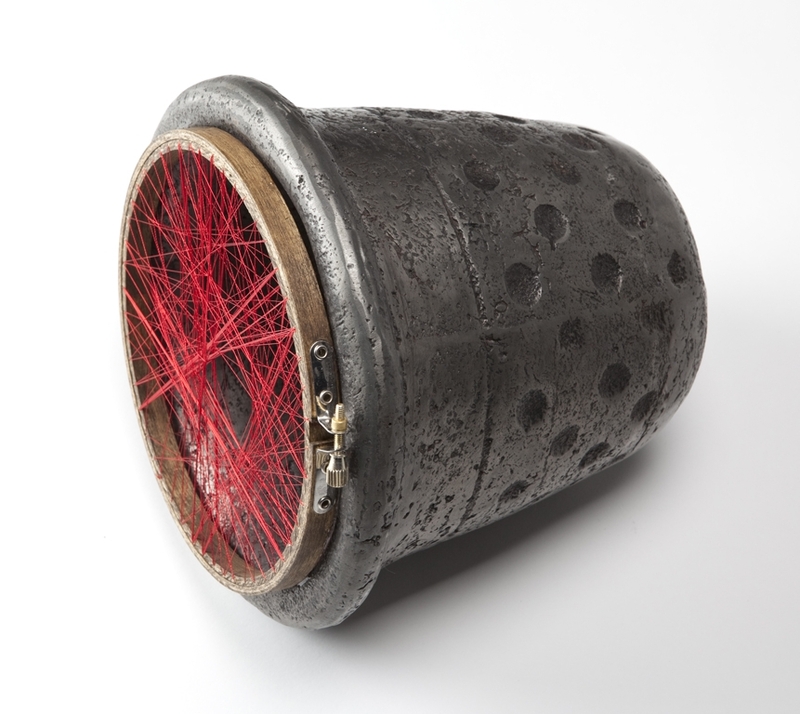 The works in Domestic Series generate the first of many to value a line of materials, concepts, and aesthetics. 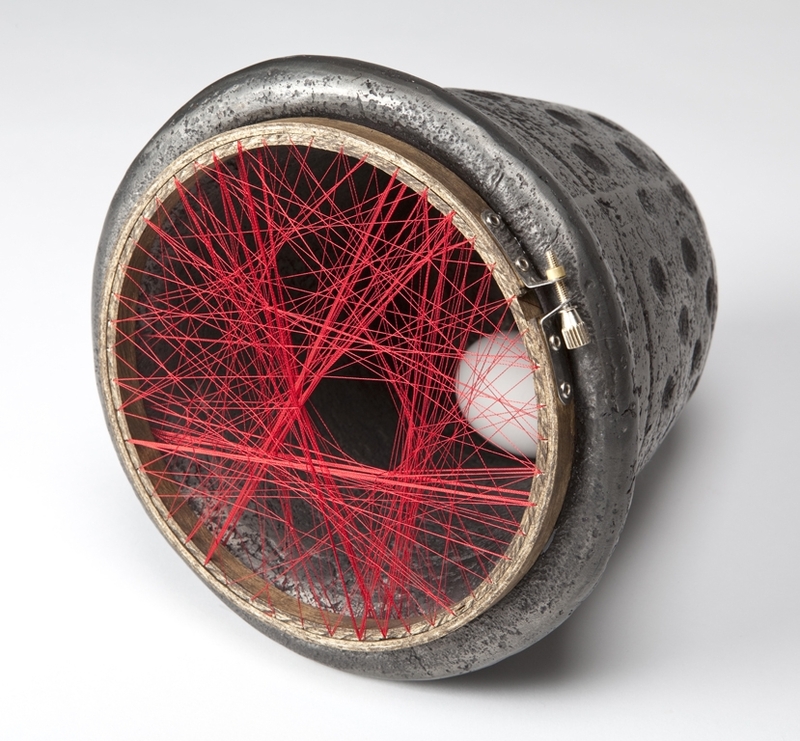 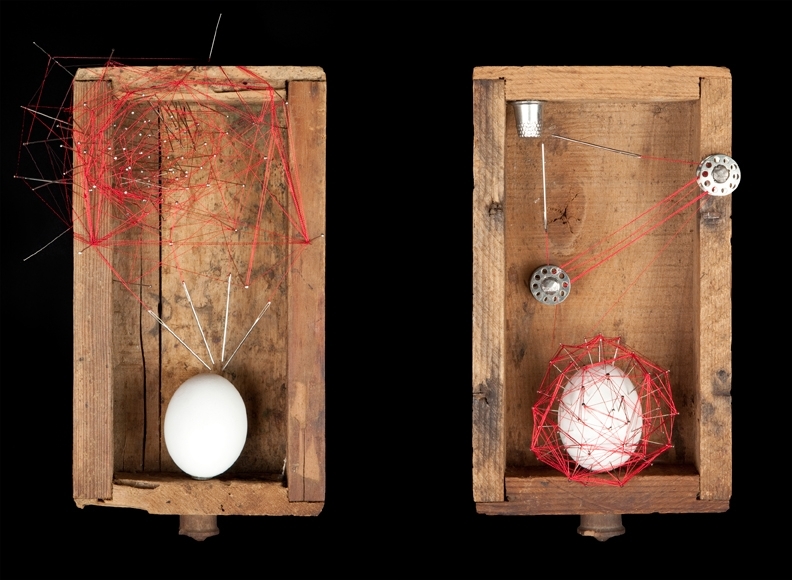 The implications are not only ambiguous to the viewer, but also to the maker; allowing the material to influence the concepts to influence the material in a back and forth conversation of art making. 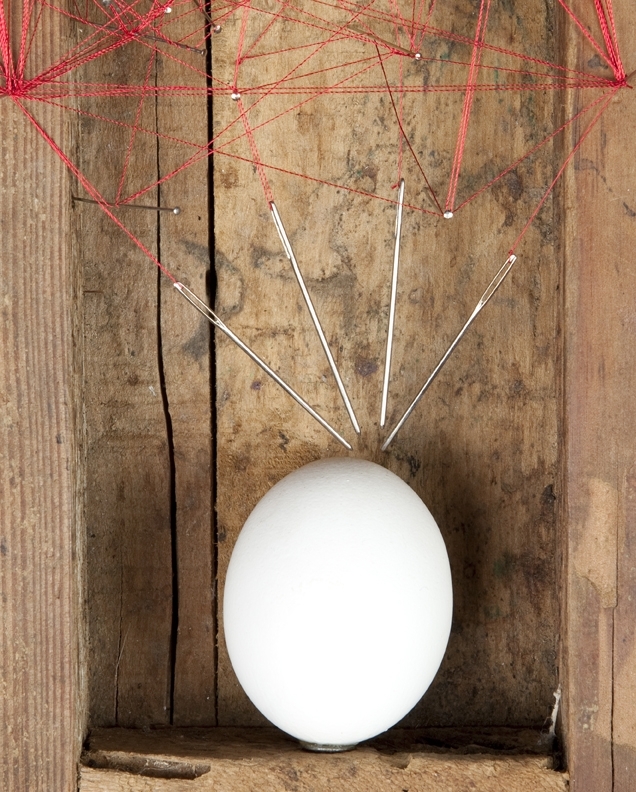 The constant is the motif of the egg which is a powerfully dense symbol of fertility, femininity, and fragility. 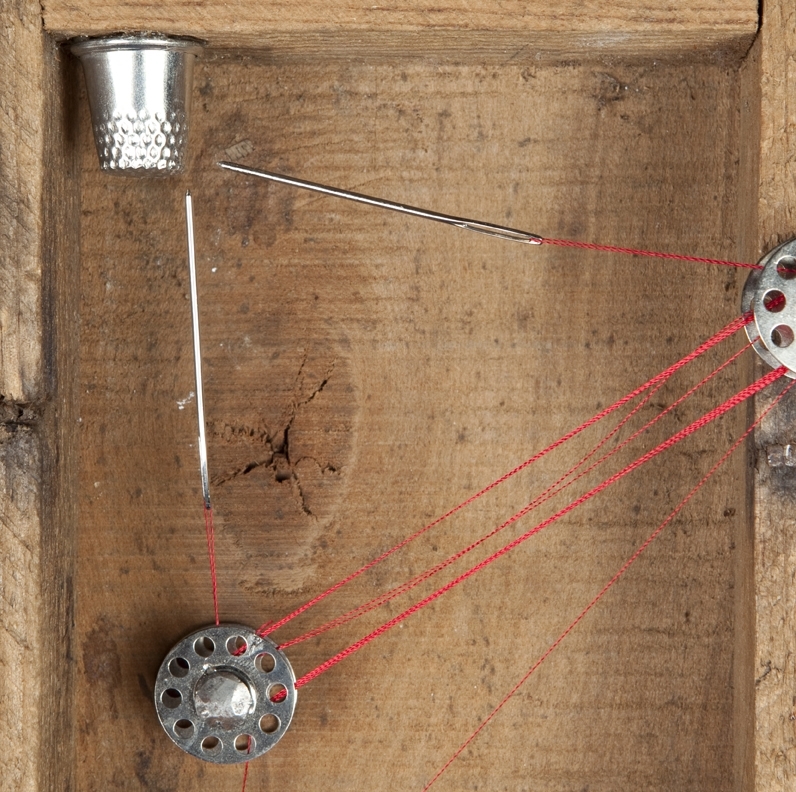 Equally dense in symbolism is the ongoing use of red thread that has the ability to stir possible association of life, death, love, and passion.